This may be a stupid question, but what can I put into my vintage pen? They always say there’s no such thing as a stupid question, and that’s true. 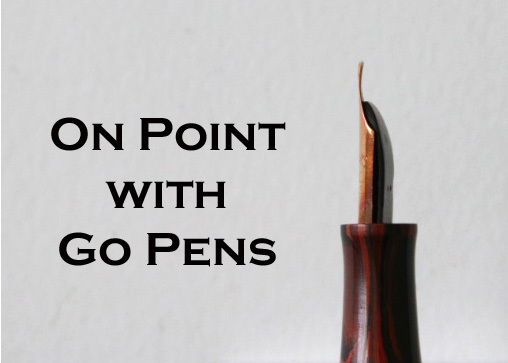 Fountain pens are meant to be used with fountain pen ink. Do not use calligraphy inks, liquid acrylic inks, India ink, or anything other than fountain pen ink. Fountain pen inks are designed to flow through the fine channels of the feed, and other (non-fountain pen) inks have larger particulates that will clog the feed. Fountain pen inks contain soluble dyes whereas India ink, for example, contains pigments (which are larger). If you are new to fountain pens, you may want to start with a safe washable blue such as Waterman Serenity Blue until you’re comfortable with cleaning your pen, and knowing how it works. Keep the questions coming – if you have a question, please leave it in the comments!